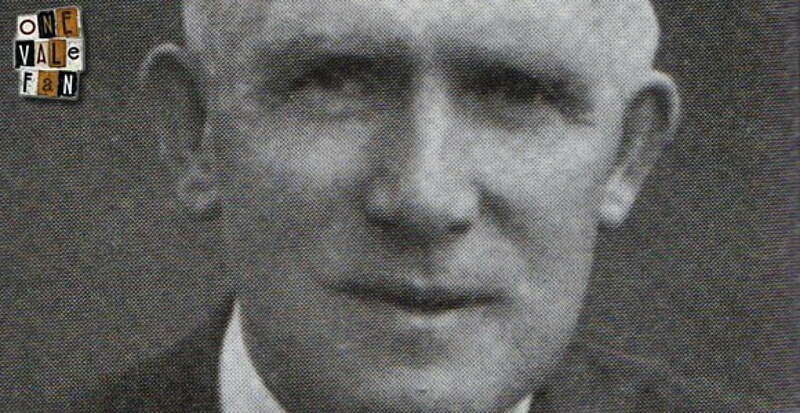 Locally born Morgan played for a string of local non-league sides before joining Vale in 1910. Despite scoring twice on his debut, his playing career was cut short through injury and he retired after playing a mere four games. He then took up a string of roles within the club including scout, assistant secretary and reserve team manager. In 1929, Vale were enjoying a cracking start, winning ten of their eleven opening games. Then tragedy (and this time real tragedy) struck with manager Joe Schofield dying. There were still 31 games to go when Morgan was promoted to manager but he was an immediate success. Vale were unbeaten until late December under Morgan who had astutely added to his squad in October. However, just as Vale were looking unbeatable, the club managed to upset the apple cart. Star player Jack Mandley was sold to Aston Villa in a move that sparked fans protests. The club went into a mini slump of poor results but Morgan managed to arrest it as the club won the final five games of the season. The Title was won after a victory over neighbours Crewe and Vale finished top with a club record 67 points. It was the defence that had led the way with the team had conceding a mere 37 goals – the least of any Football League that season. 2,000 fans celebrated promotion – not a bad achievement for a rookie manager parachuted into a traumatic situation. But Morgan went one better the next year. Morgan compiled a clever squad – two experienced strikers in Sam Jennings and Albert Pynegar combined with the defensive skills of Jimmy Oakes and George Shenton took Vale to the dizzy heights of fifth in the Second Division – the club’s highest-ever league finish. But sadly, the next season, Morgan’s reign was to come to a sudden end. Morgan engaged in a signing spree in the summer of 1931 – adding five new players and fans responded with record season ticket sales. Sadly, it was to prove a false dawn. Despite a good start to the season, results tailed off and things reached a nadir when Vale lose 7-1 at home to Wolves. It was too much for the board of directors and Morgan was sacked at the end of the season. However, that was not the end of Morgan’s managerial career with the Valiants. He reverted to his old role of assistant-secretary until 1937 when he was appointed manager for a second time. Morgan took over in December with the club in a terrible run of form (having lost four in a row). He soon sorted things out and Vale finished the season in a comfortable 15th position. However, the club failed to progress during the following season, 1938-39. Perhaps mindfull of the way he’d been let go in 1932, Morgan decided that this time he would jump before he was pushed. He shocked the club by resigning in March to become manager of Wrexham. It was an eventful end to Morgan’s Vale career – one that had seem him secure a rare Title and a record league place for the Valiants.